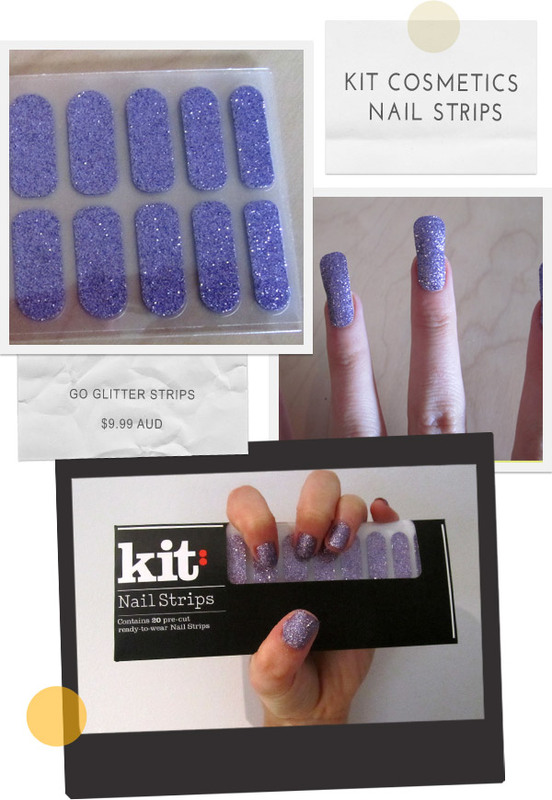 For an Easter gift from the every so lovely Maiden Susan, I was given some Kit Cosmetics Nail Strips. For those who know me, I am slightly obsessed with Nail art at the moment. So this gift was lovely and something that I have not yet tried and tested. So after breakfast this morning I decided to give them a go. You get 20 strips in a pack so you have enough for two rounds. First of all you need to ensure that you have clean nails. Just whip some nail polish remover over them to ensure that you have no oil or residue. Then add a base coat. My favourite is Butter London Nail Foundation. Next Step. Peel the sticker/decal off the transparent sheet and place on the appropriate nail. There will be a large amount of overhang (like the image above) I just trimmed them down until there were a couple of millimetres of decal. Then you file the decal down to the nails edge. Walah! you have pretty nails. I added a top coat as recommended on the instructions to ensure they last. I have to admit, they do fell strange, especially being glittery they have a funny texture. But the good thing is, you don't have to wait for them to dry and you get an even finish. Kit also have other designs available.